Airline easyJet has apologised after British tourists were left stranded for 30 hours in extreme heat due to an overnight delay on a flight from Egypt to Gatwick Airport. The 164 passengers, who included pregnant women, babies and pensioners, were forced to stay on board for five hours when Thursday's scheduled 5pm take-off from Sharm El-Sheikh was delayed because of a technical issue. Those on board, mostly Britons, claimed that the temperature approached 30C (86F) before they were let off the plane and put up in a hotel. The flight was rescheduled for Friday morning, but this was moved back to 7pm and then delayed even further to 10.40pm. The plane finally landed at Gatwick at 4am on Saturday. Passenger Luke Gayle, 20, of Croydon, south London, said: "It was a disgrace. People were crying and understandably losing their tempers while we were stuck on the tarmac. A woman six months pregnant lay across three seats. It was roasting hot and there was no food. The captain had to come out and try to calm everyone down - and again in the airport next day." Extreme events such as this highlight the importance of having travel insurance before flying abroad, including seniors travel insurance for older travellers and travel insurance for pregnancy for those who are expecting. In a statement, the airline apologised to the passengers for any inconvenience or distress caused by the delay and assured them that everything was done to minimise the disruption. 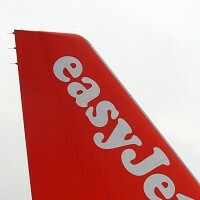 "The safety and wellbeing of our passengers and crew is easyJet's highest priority and the aircraft's departure was delayed while inspection and repair procedures were followed on the ground," the company said. "All passengers were transferred to accommodation where every effort was made to ensure that they were comfortable and kept informed as to the flight's rescheduled departure time on 28 June and notified that they were able to make up to two telephone calls free of charge. We apologise if there was a delay in any of those passengers receiving this information on arrival at the hotel."